Become able to cross bridges in your car without worry or strife, letting you connect across spans of space in your automobile. Do not fear travel across bridges, and move around the country without being bound by water or mountains. Learn to trust the architects who make bridges and to train your mind to be rational about the chances of falling to your death. With Steve G Jones self-hypnosis recording “Overcome Fear of Driving on Bridges,” you will be able to traverse bridges without worry, while maintaining sanity and equilibrium. Driving across a bridge can be a rare and majestic experience. You see for miles and miles, and are suspended above infinite space while still remaining in control of your conveyance or automobile. You can get to places that would otherwise be off limits to you, or drive between mountains in order to collapse the distance when it comes to overland travel. A chance to drive across a bridge is a treat, unless you have a massive phobia about bridge travel. If the moment your axles enter onto the seams of a suspension bridge your heart starts to pound and your knuckles turn white, and you begin to imagine the swaying nature of a bridge, and how it is held up by only human ingenuity and artifice, then you probably have an unhealthy anxiety about bridge travel that must be addressed if you wish to live in the modern age. If driving over a bridge fills you with so much fear that you often avoid them altogether because you can’t help but imagine what would happen if you were to suddenly jerk the wheel to the left and go caroming over the side into the sea or a gorge, then you should train your mind to eliminate this fear. By using Steve G Jones self-hypnosis audio recording “Overcome Fear of Driving on Bridges,” you can make your bridge woes a thing of the past. Why Are Bridges So Flimsy? Many people worry about driving over bridges because they seem to be flimsy and insubstantial. There’s also the matter that they are “open” and, unlike being inside a tall office building, you’re more aware of how far you could fall. But these light bridges ensure that they will not break in the event of an earthquake or other disaster. If there were no bridges, human beings would be stuck taking boats wherever they went, and it would be a difficult and logistically unsettling world. Bridges connect us together. Do not be afraid of what might happen if you were to suddenly jerk the wheel to one side or the other. You won’t. Jut because you are afraid of such a thing happening does not mean that it will. Many things that you can think of will probably never come true in your life, and plummeting to your death on a bridge is statistically very unlikely. How Can I Overcome My Fear of Driving on Bridges? The best way to deal with this fear is to confront it by using self-hypnosis to replace the fear you feel with relaxation and calm. Learn to enjoy the pleasant views and changes of scenery that traveling over bridges can afford. By using Steve G Jones’ powerful self-hypnosis recording, you will learn to enjoy driving over bridges instead of being terrified. If bridges are ruining your life, get “Overcome Fear of Driving on Bridges” and learn to be happy on bridges instead of avoiding them or being petrified. 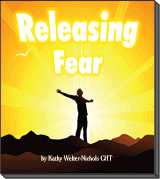 This recording is guaranteed for a full sixty days so listen regularly to rid yourself of this fear and order your copy today.